One of the major struggles with a performance review is figuring out a holistic look of the reviewee's work and goals over the past review cycle. Before Lattice, this might've meant digging through old emails, going through projects, and remembering conversations that happened months ago. There's also the problem of recency bias, where an employee's most recent projects are the most influential on their review, despite their successes and failures over the past year. 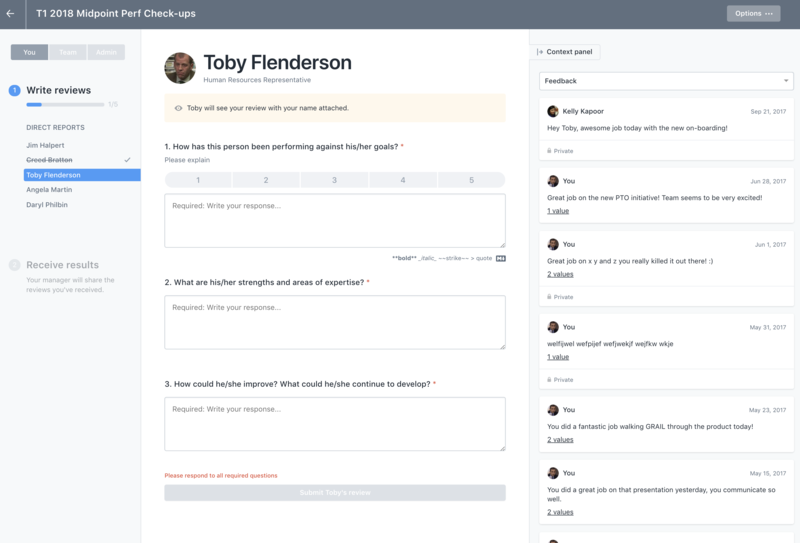 By integrating our Goal and Feedback products directly into the review section, Lattice is able to circumvent that hours-long labor process. This will lead you to the cycle page, where you can click on "You" at the top left corner in the Administration panel. This will take you to the reviews you need to complete. You'll see a list of employees awaiting your review on the left, and the context panel on the right. You can click on the "Context panel" tab to move it in or out. 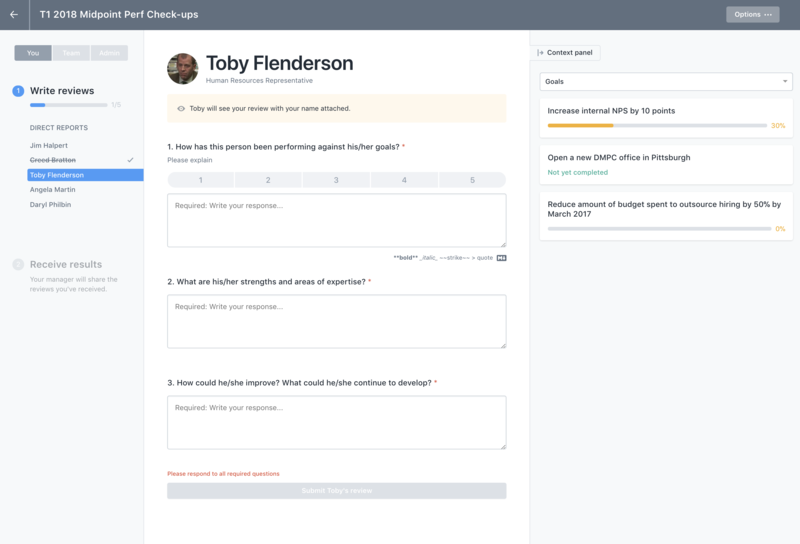 The Context panel contains Goals and Feedback which you can click between by clicking the down arrow to the right. 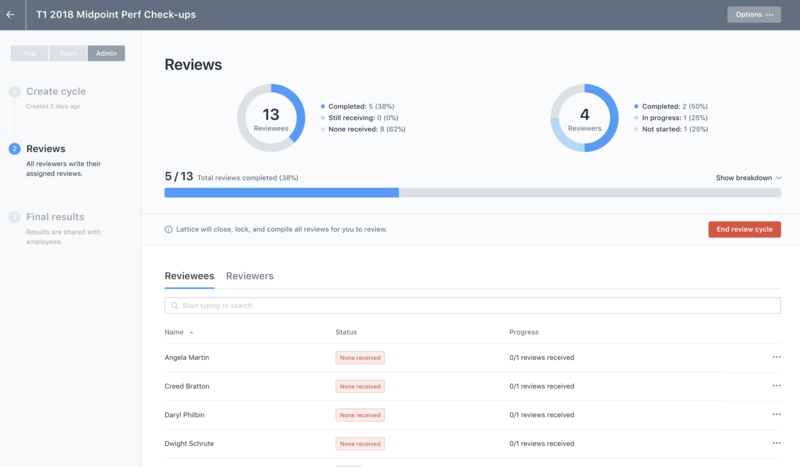 By having both feedback and goal progress in front of you while you work on their review, you'll be able to get a full view of their work over the whole review cycle, not just what you can remember or research from the past few months.